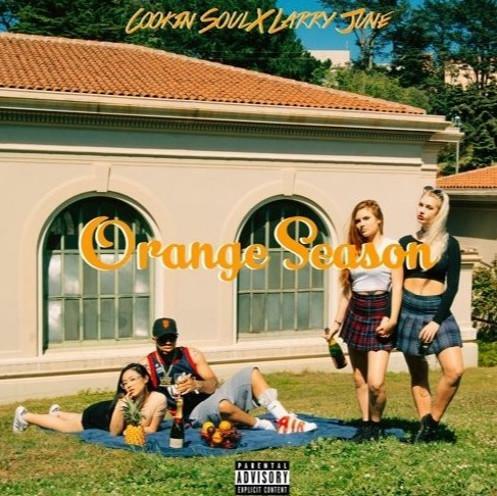 Larry June just delivered Orange Season, his collaborative EP with Cookin Soul, making it the San Francisco rapper's second project in only a few weeks time. "Love Jones" is one of the highlights from the project, pairing Jones' understated energy with some chipmunk soul, an unexpectedly perfect combination. Of course, the Cookin Soul beat does have it's modern touches, applying some pounding sub-bass early on, but always making its way back to the beautifully arranged vocal sample. The project was designed to be played on a hot summer day, and "Love Jones" might be the best-suited to the setting of the set.